Blog Who Offers Proximity Search? Finding several terms that are close to one another is a way to make the search results more relevant, i.e. make the search more semantic. This feature is called Proximity Search; it’s especially useful when searching on the web and in long, unstructured documents. A familiar example is to search for the word manage close to the word people, to find bios of those who have managed people, vs. profiles that just have both words somewhere in the text. Another example would be to look for a school name close to the year of graduation. Applications of proximity search are multiple. 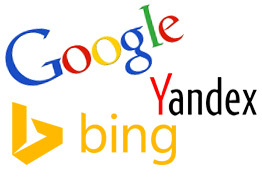 Google, Bing, and Yandex have all implemented proximity search features. It looks like, however, the first two search engines have dropped the ball. Let’s take a look at some examples. Perhaps there are some cases where AROUND does influence the results, but the operator is certainly unreliable! Let’s hope that Google and Bing engineers will make the proximity search feature a high enough priority to fix it sometime in the future. will look for the second term (2016) to appear after the first term (“Georgia Institute of Technology”) with no more than two words in-between. You can also search using (for example) /(-2 +2) to find the terms in either order, within two words from each other. Conclusion: Yandex wins! If you are looking to use proximity search on the web, Yandex is your search engine. Your comments and creative proximity search examples are welcome!